Declaring State holiday on Maharaja Hari Singh’s birthday is the major demand of BJP and Jammu-based parties, traders and lawyers. 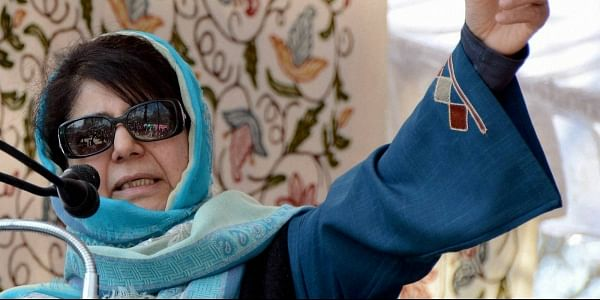 SRINAGAR: Jammu and Kashmir Chief Minister Mehbooba Mufti has withstood the pressure of its coalition ally BJP and overruled the party again by not declaring State holiday on the birth anniversary of Maharaja Hari Singh, the last Dogra ruler of Jammu and Kashmir. The PDP-BJP coalition government on Thursday issued an order of government holidays to be observed in 2018 and did not declare State holiday on September 23, Maharaja Hari Singh’s birthday. As per the government order, 28 holidays would be observed in 2018 including the birth anniversary of opposition National Conference founder and former Chief Minister of Jammu and Kashmir, Sheikh Mohammad Abdullah on December 5, and holiday on Martyrs Day on July 13, which BJP wants to be scrapped. However, there is no mention of September 23 as public holiday. Declaring State holiday on Singh’s birthday is the major demand of BJP and Jammu-based parties, traders and lawyers. Even the opposition National Conference and Congress leaders from Jammu have been demanding declaring of holiday on Maharaja Hari Singh’s birthday. However, the CM Mehbooba and her PDP has overruled the BJP’s demand. The non-declaration of public holiday on September 23 has disappointed PDP’s ally BJP. “We are going to take up the matter with the CM. BJP has also been demanding that Maharaja Hari Singh’s birthday should be declared as public holiday,” BJP chief spokesman Sunil Sethi told New Indian Express. He said if there could be a public holiday on former Chief Minister Sheikh Muhammad Abdullah’s birthday, why could there not be a holiday on Singh’s birthday. Sethi said the party would also be taking up the matter with PDP leadership. “Since this is the state issue, it would be dealt by State unit of the party. We will take up the issue with PDP high command so that aspirations of people are respected”. He said all parties in Jammu are on a same page on declaring public holiday on Maharaja’s birthday and there should be no objection from PDP. “The government has to address this issue immediately,” added Sethi. Maharaja Hari Singh’s grandson and ex-PDP MLC Vikramaditya Singh termed non declaration of public holiday on September 23 as a “great disappointment” for people. “The public is well aware of the contributions and sacrifices made by the last Maharaja Hari Singh, who signed the Instrument of Accession with India in October 1947. History has not done justice to him but he will always live in the hearts and minds of the people of Jammu,” he said. “Why cannot the sentiments of Jammu people be respected,” he questioned. Singh, who is elder son of J&K’s former Sadr-e-Riyasat and senior Congress leader Karan Singh, resigned from the PDP and J&K Legislative Council on October 22 this year after differences with the party. He had joined PDP in August 2014 ahead of the State assembly elections. Singh’s younger brother Ajat Shatru Singh is State BJP leader and also an MLC. The row over declaring State holiday on birth anniversary of last Dogra ruler started after the State Legislative Council in January this year passed a private member’s resolution in absence of opposition seeking holiday on birthday of Maharaja Hari Singh. The resolution was moved in Legislative Council by grandson of ex-Maharaja and BJP legislator Ajatshatru Singh. Even senior PDP leader and Minister Naeem Akhtar had talked in favour of Maharaja Hari Singh and credited him for maintaining identity and secular character of the State.